A peace activist said in an interview with Sputnik that by rushing to deploy the Terminal High Altitude Area Defense (THAAD) system on the Korean Peninsula, Washington is trying to "up the ante" in the region, provoking extreme opposition in China, North Korea and South Korea. 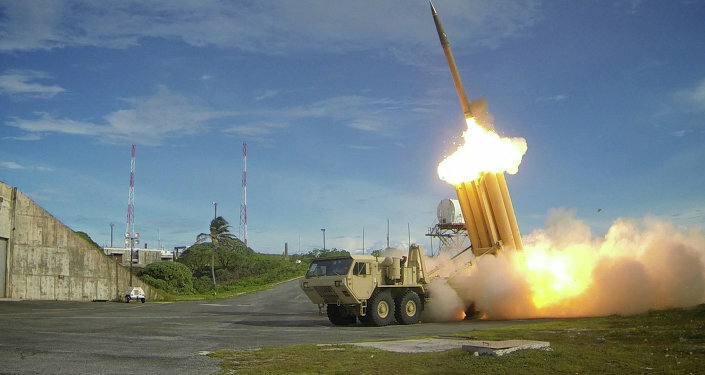 WASHINGTON (Sputnik) — The United States is rushing deployment of the Terminal High Altitude Area Defense (THAAD) system in South Korea to undermine the peace policy of Moon Jae-in before he can be elected president, global peace campaigner Helen Caldicott told Sputnik. "South Korea is about to elect a president, Moon Jae-in who wants to negotiate with North Korea, and is strongly opposed to the THAAD anti-missile system," Caldicott, founder of Physicians for Social Responsibility, the organization that was the co-winner of the 1985 Nobel Peace Prize, said. South Korean women this week protested the deployment of the THAAD, saying the system is aimed not to defend them against North Korea but as a threat to Russia and China. On Wednesday, the Woman Cross DMZ group sent a letter to President Donald Trump calling on him to defuse military tensions and start negotiating for peace to prevent war from erupting on the Korean Peninsula. Caldicott said the Trump administration and the Pentagon were driving up tensions in Korea, not the Pyongyang government. "The United States in its overbearing belligerence recently rushed the deployment of this THAAD system in the middle of the night in South Korea provoking extreme opposition in China, North Korea and many members of the public in South Korea," she said. 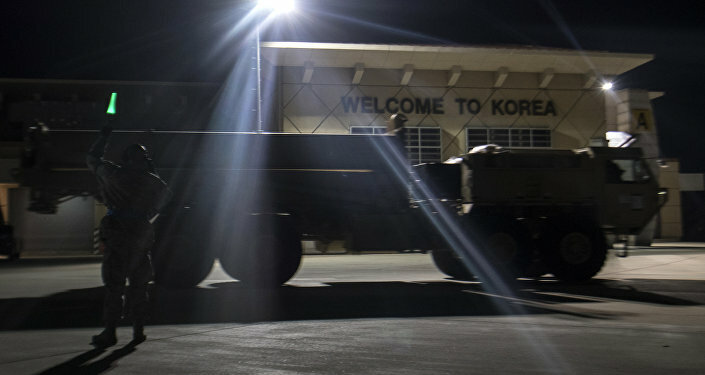 Far from bringing pressure to bear on North Korea to change its nuclear and missile policies, the THAAD deployment was certain to anger China and convince her not to cooperate with the United States in a joint policy to bring pressure on Pyongyang to moderate its policies, Caldicott explained. "China obviously sees THAAD as a military threat as does North Korea. In other words the US is doing everything it can to up the ante in that part of the world," she said. The women’s protest in South Korea was an expression of widespread genuine concerns in that policy that militaristic US policies would set off an unnecessary and terrible war, Caldicott observed. "People in South Korea must now be very frightened that a war, possibly nuclear, will break out between the two Koreas, hence the demonstrations which will do nothing to curb the ignorant military belligerence of the US," she concluded. Caldicott is the author of many books, including "The New Nuclear Danger: George W. Bush’s Military Industrial Complex" and "War in Heaven:" The Arms Race in Outer Space." The Smithsonian Institution has named her one of the most influential women of the 20th century.